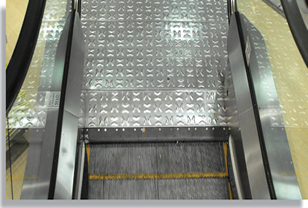 As its name indicates, Grating World manufactures branded hand-railing (RAILEX®), slip-resistant floor plate (FLOOREX®) with a distinctive “boomerang” pattern, welded or swaged and moulded/pultruded grating (GRATEX®) to suit the needs of safety conscious end-users in industry and minerals beneficiation. Materials of construction include stainless steel, carbon steel and FRP composites. Grating World has decades of valuable experience in design and fabrication to offer off-the-shelf and customised solutions. 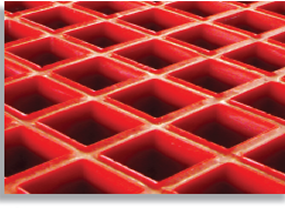 GRATEX® grating - Manufactured to the ISO 9001:2008 Quality Management System in three material types to suit specific applications: Economical Carbon Steel, Corrosion-resistant Stainless Steel and Lightweight FRP. 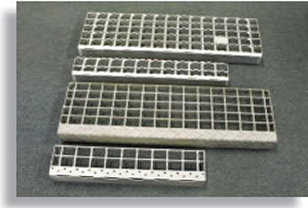 Two types of carbon steel grating are available: FORGEWELD® GW40®, produced in a forge-welding process, and GRATELOK® GL40®, constructed by swaging transverse bars on either side of the bearer bars to produce a rigid assembly. 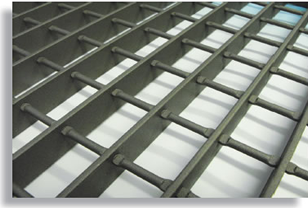 Grating World is southern Africa’s one-stop source for world-class solutions in grating, walkways, stairtreads, handrailing, and flooring in Carbon Steel, Stainless Steel (3Cr12, 304, 316) and Composites (FRP). 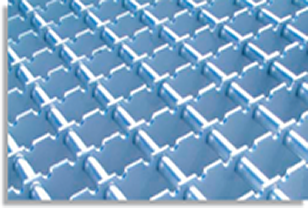 GRATEX® FRP FIBREGLASS GRATING is a cost effective, lightweight solution for walkways, platforms, trenches and mezzanines. 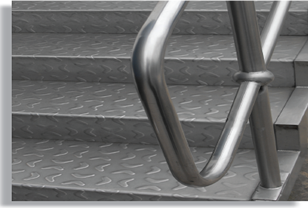 RAILEX® handrailing is available in stainless steel and carbon steel. Solid floor plate FLOOREX® floor plate bears the distinctive and registered “boomerang” design. 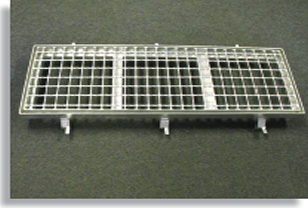 GRATEX® STAINLESS STEEL GRATING features transverse bars which are hand assembled with rigid bearer bars, then jig-welded to ensure dimensional stability.